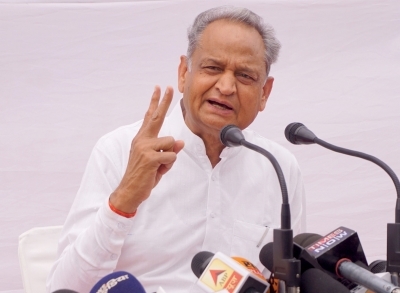 Addressing a press conference, Gehlot said, "I had read in an article, they were worried that they might be unable to form the government in Gujarat. Then Amit Shah worked his mind -- Make Kovind ji the President to keep caste's arithmetic correct." "I believe the party therefore decided to make Kovind the President, leaving veteran BJP leader Lal Krishna Advani behind in the race," he said. But when the BJP hit back by urging the Election Commission to take action on the issue, Gehlot took the usual route saying "my comments during the press conference have been misquoted by a few media houses." Commenting on Prime Minister Narendra Modi's working style, the Chief Minister said he had only been giving jumlas for the past five years. "The BJP is scared about people's reaction if real statistics come out on crucial issues, like jobs, and is therefore twisting data. The Congress has never resorted to such hiding of facts and figures from public." The BJP hit back saying the Congress was against the President, who came from a poor Dalit community. Party spokesperson G.V.L.N. Rao said in New Delhi, "We appeal to the Election Commission to give a notice to Gehlot and issues a directive that no political party should make a remark critical of the President." Gehlot was quick to send out a tweet as damage control. "It is unfortunate that my comments during the press conference have been misquoted by a few media houses. I have the greatest regards for the President of India, and personally for Ramnathji whom I have met in person and highly impressed with his simplicity and humbleness," he wrote.